I love bean salads. They go beyond a typical vegetable-based salad and allow you to make just one dish as a meal since the beans make the salad so satisfying. You can eat it with some good bread, and maybe throw in some soup too. When I make bean salads, I typically cook the beans myself, because buying dried beans is significantly cheaper than buying canned. Canned beans are very convenient, and I still use them on occasion, but cooking beans is not difficult. It’s something that has to be contemplated ahead of time. Typically I use my crock pot to cook beans while I’m away, and I have them ready when I get home on a week night. I plan to do a post soon about how to cook beans, because it’s a basic, useful skill, but not entirely intuitive if you’ve never done it before. This recipe is a favorite of mine, but think of it as a template and not an inflexible recipe. 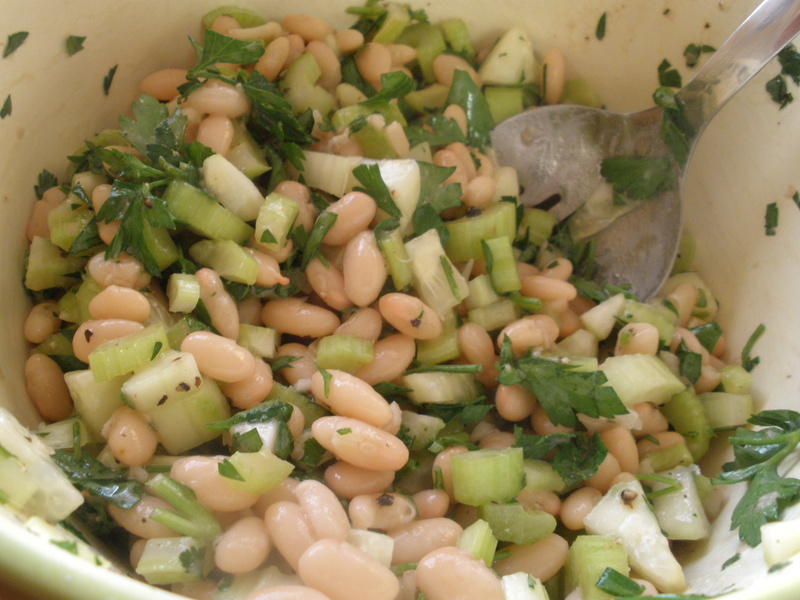 The beans can be white navy beans, like I use here, chickpeas, black beans, or whatever you have or want to use. The vegetables are flexible as well, just as with any salad. I like to add large amounts of fresh herbs to my salads. Anytime I see a recipe that calls for just a few teaspoons or tablespoons of chopped herbs, I almost always increase that amount several time. Combine the salad ingredients in a medium bowl. Add the dressing ingredients to a small or medium bowl and whisk until well-combined. You can also use a blender to make the dressing. Stir the dressing into the salad, and stir until well-combined. Taste, and add salt if necessary. Serve immediately or refrigerate to allow the salad to marinate and flavors to combine. 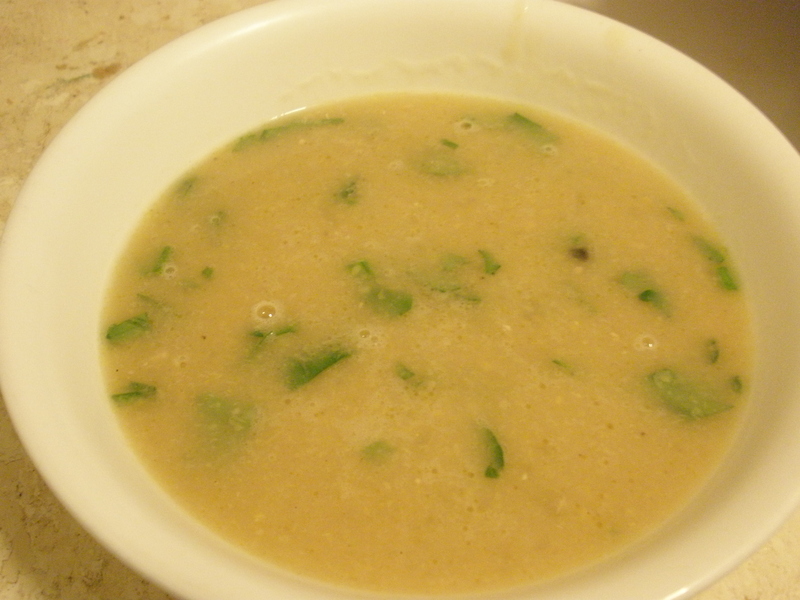 I really like pureed soups. They’re smooth, elegant, and require only that you throw stuff in a blender….obviously with a few steps in between, but you get the idea. This soup was inspired by a NY Times recipe, though I made a few changes. The original recipe calls for fresh mint, but I used parsley–parsley goes much better with chickpeas, in my opinion. 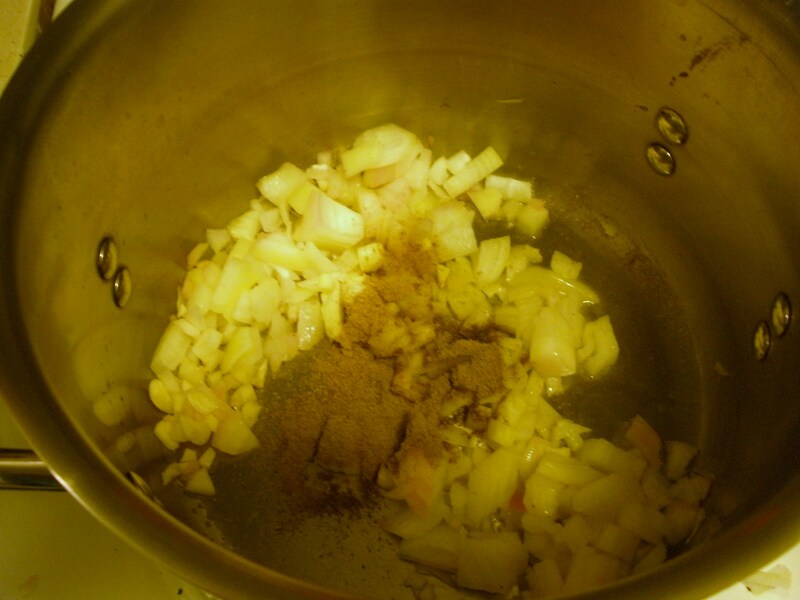 I also added more lemon juice than the amount in the recipe…around 4 tablespoons instead of 2. I made the chickpeas ahead of time in my crock pot. I soaked about 1 1/2 cups of dried garbanzos for 4 hours or so, and then I rinsed the beans and transferred them to the crock pot along with enough water to fill almost to the top. You can either leave them to cook overnight or while you are gone during the day. 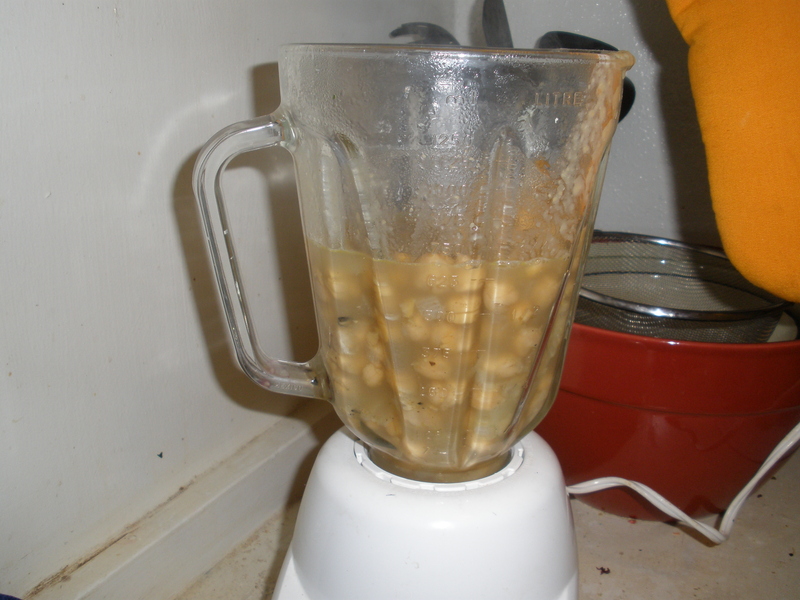 Of course, you can also use a few cans of chickpeas if you like. Heat the olive oil over medium heat in a large pot. 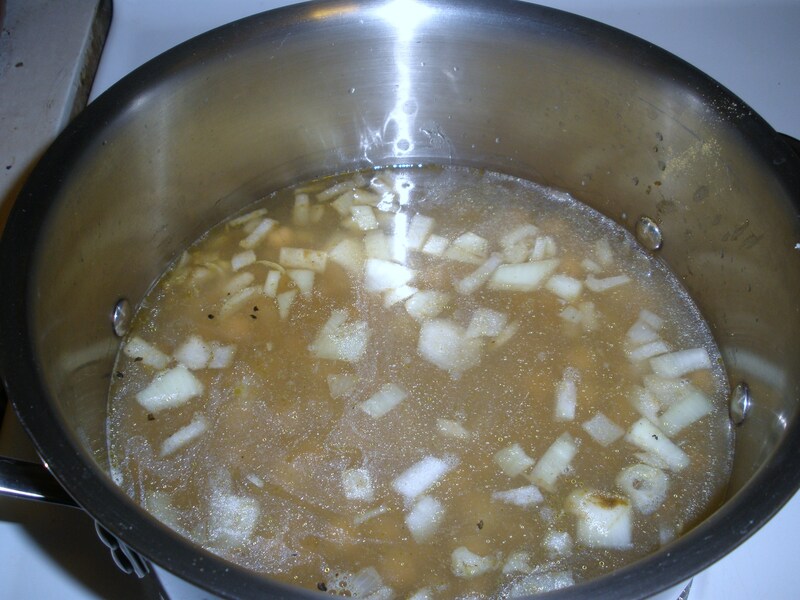 Add the chopped onion and garlic, along with the spices. Cook around 5 minutes, stirring every minute or so. Add the chickpeas along with about 8 cups of water. Add some big pinches of salt. Stir. Turn on high and bring to a boil. Immediately turn the heat down to medium low and cook for about 15 minutes uncovered. Working in batches, puree the soup in a blender. Fill about 2/3 full–any more can be dangerous. Once you puree a batch, dump it into a large bowl and set aside. 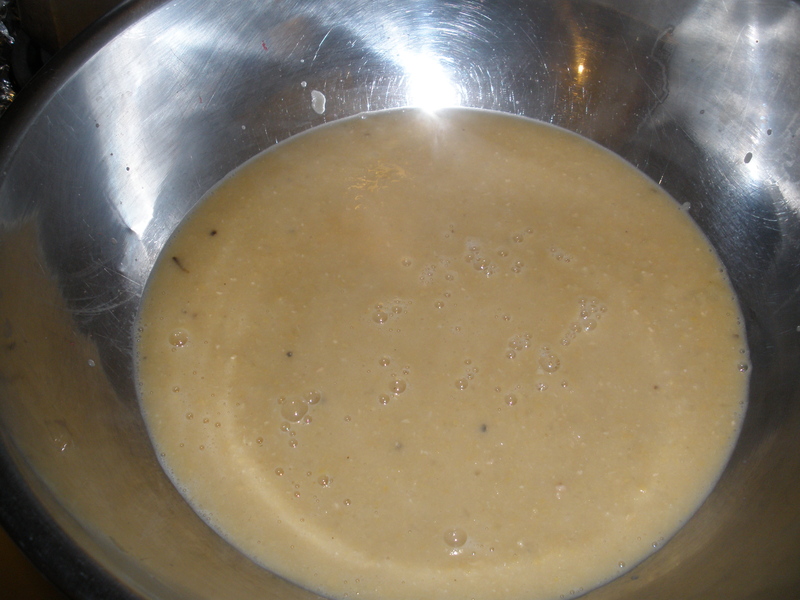 Once you’ve pureed all of the soup, add it back to the pot. 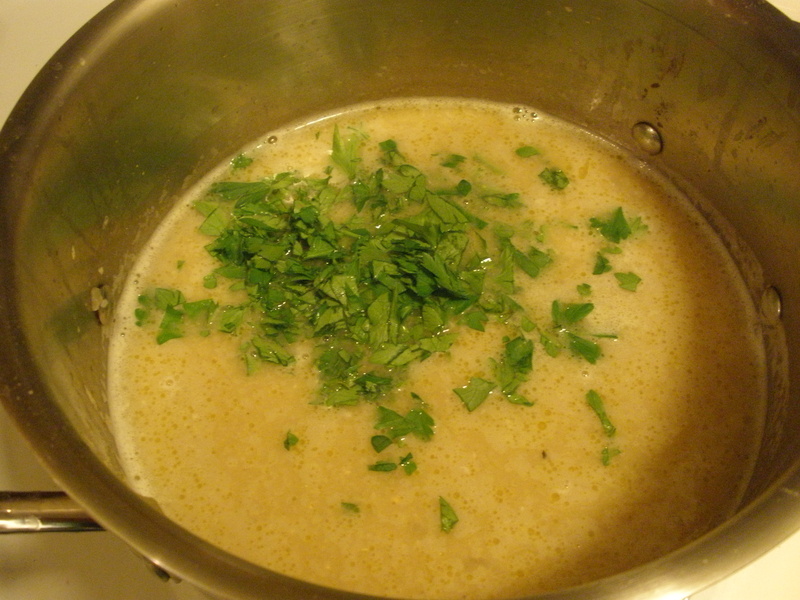 Mix in the lemon juice and parsley. Taste, and add salt if necessary. Serve, and drizzle with olive oil.